Oil on porcelain. 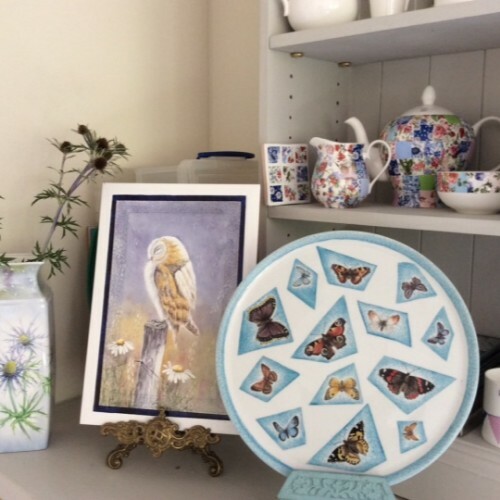 Each item is hand painted or drawn using traditional and modern techniques and then kiln fired. Much of my inspiration comes from the garden or local countryside. Also some original paintings – acrylic on board and greetings cards.